Celebrating two years of photo-filled life! The second year was full of enriching experience, both professionally as well as at the personal level. 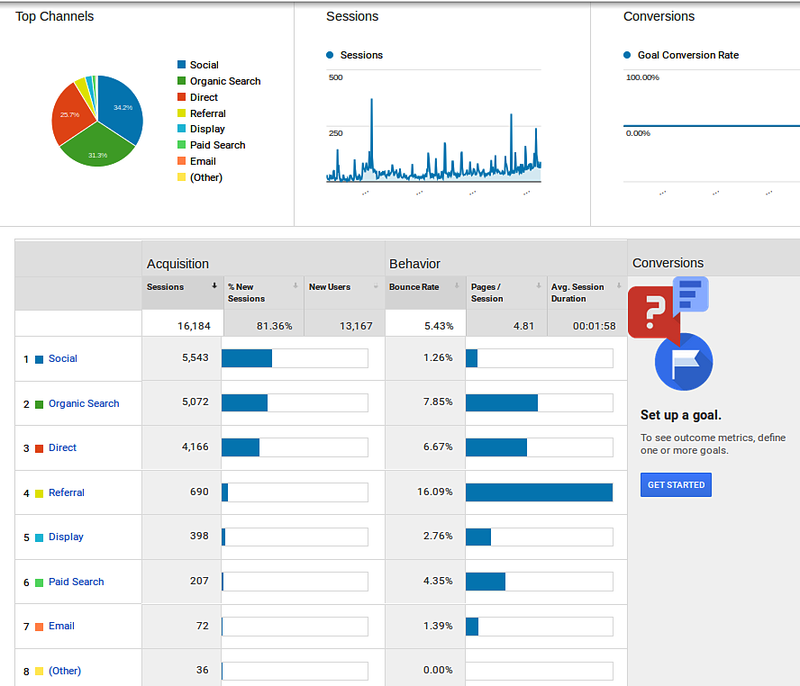 We received more than 100 queries through Google search and Facebook in the last year. Canvera was another important source from where we received plenty of queries. 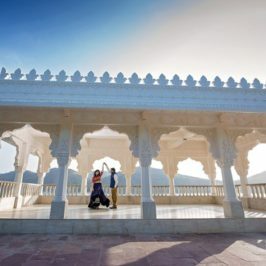 Although, it was not possible to accept and work on all such projects, we did work on a number of wonderful projects such as outdoor photography of a male model, portraits of a female model, senior photography, anniversary photography of a lovely couple, outdoor baby photography, engagement photography, destination pre-wedding photography in Udaipur and many more. We met several new people in this duration. 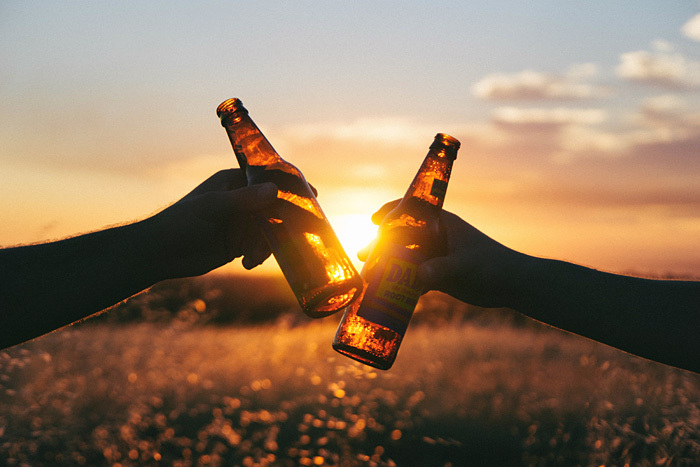 Many of them hired our services, some recommended us to their friends (who in-turn hired us for their events) while other who became long term friends. We also received a number of reviews on Google in this process. We grew in number (from a single person to a team of four) and so does our equipments. 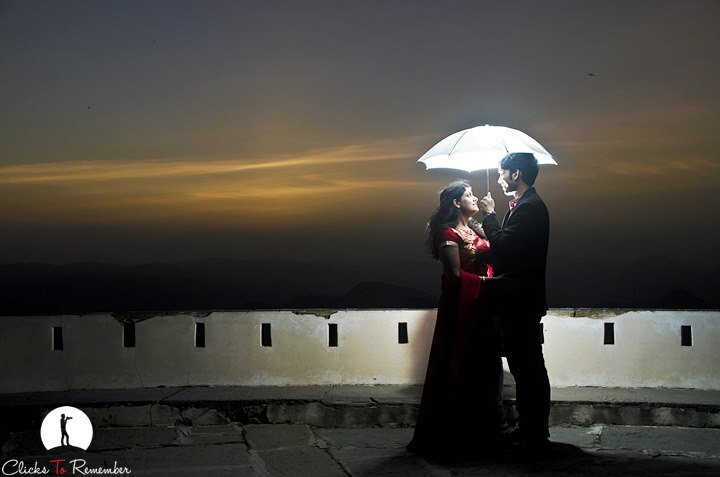 In the last year alone, we did photoshoot at several places such as in Bangalore, Goa, Gujarat, Kerala and Udaipur. We published 22 blog posts and hunderds of beautiful photographs on our website. We also succeeded in finalizing our logo, as created by a very talented team of InventGraphix. 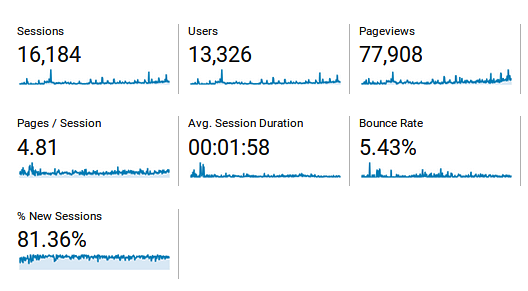 We had a total of 13,388 unique visitors visiting our website for a total of 16,263 times (which is more than 1.5 times visitors than the first year) in the second year. Yes, we understand that this number is not very high, however, we still take pride in because these numbers reflect the *true visitors* and not some *spam-bots or crawlers*. On average, these visitors spent about 2 minutes on our website (22 seconds more than average visitor spent time in first year). Also, the bounce rate (percentage of people leaving the website right after entering into it) which was ~19% in the first year, decreased to 5.44% in the second. The average number of pages-per-session by a visitor also rose to 4.82 from 3.40 pages-per-session in the first year. ClicksToRemember: reaching across the globe! We recorded visitors from more than 100 countries in the last year alone, demonstrating our success to acquire a global audience through our works. This is really encouraging. 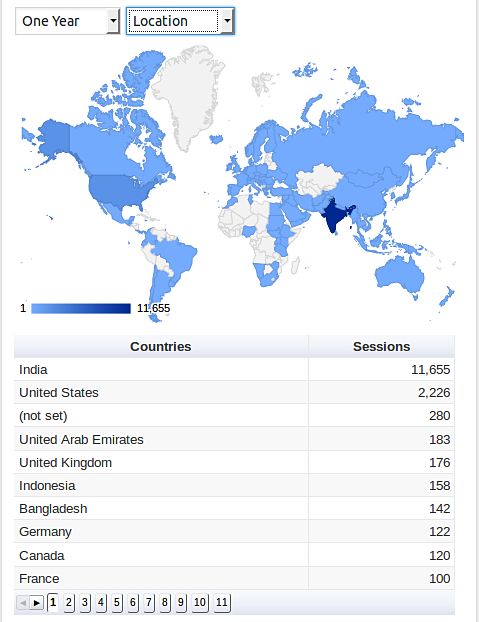 🙂 Of course, most of our visitors are from India, followed by USA, UAE and UK. Facebook had been the major source of sending traffic to our website. However, we recorded similar number of people visiting ClicksToRemember from Facebook (~5.5K) and through Google searches (~5K). Also, more than 4,000 visitors visited our website directly by typing www.clickstoremember.com in the URL. This shows that ClicksToRemember is indeed becoming popular among the people. 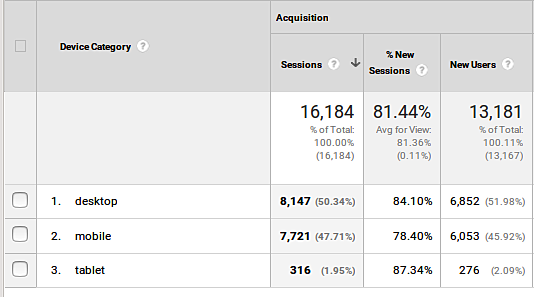 If we look at the traffic in the last three months alone, we find that Google (Organic) has been the major source for driving visitors to our website. This can be attributed to strong search engine optimization (SEO) that we hold under our belt. With this observation, we can safely assume that Google will continue to drive more visitors to our website with time. 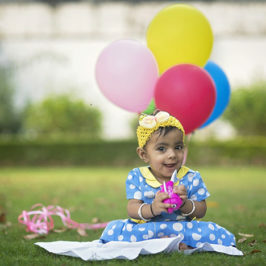 Most popular photoshoot on ClicksToRemember? 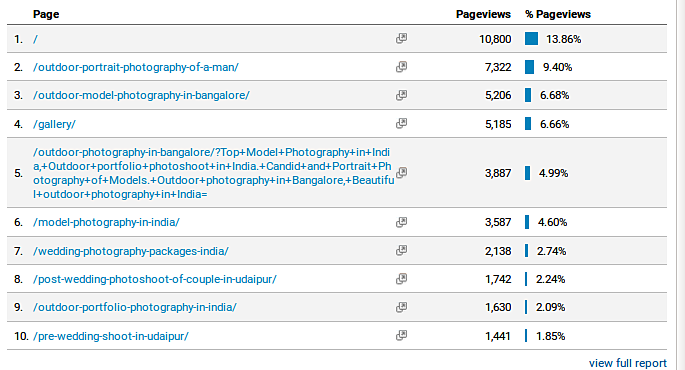 Two blog posts: about outdoor photography of a male and a female model were among the most popular photoshoots among our visitors. These photos have been reached from thousands of Google searches, which is very satisfying. “/” shows that our homepage, www.clickstoremember.com was the most accessed webpage of our website during this period. In the third year, we plan to be more active in updating the website with our latest works. We also plan to write detail articles explaining either the nuances of photography or how to develop a great photography website? We plan to update ourselves with latest DSLRs and video cameras. Thus, in the next year, we plan to create a lot of interesting videos on nature, places and wedding couples. We have spend a few thousand rupees on advertisements on various platforms in the last one year. We plan to analyse the return of investment (ROI) from such Ads and accordingly will spend either more or stop spending our money on such advertisements. 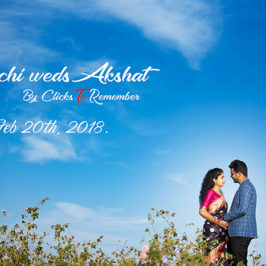 We, team ClicksToRemember, thank you all for your precious time, wishes and continuous support. It is because of you all that we are learning, growing and establishing in the field of photography. 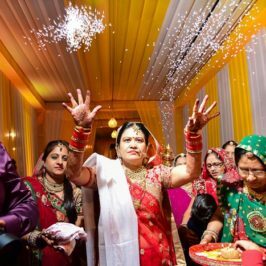 And we are here to “shoot your events, capture your emotions and help you cherish the wonderful time you spent with your loved one(s)”. 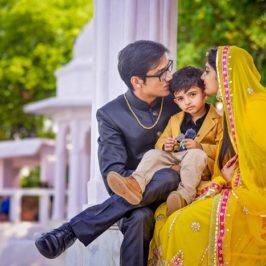 ClicksToRemember, which provide candid and destination wedding photography services in Udaipur, Rajasthan turns two years old. Article reflects some of the visitors data from last year and sharing of plans for the future.